UPDATED: Gov. Rick Perry, who had missed a legislative deadline for making his appointments to the Red River Boundary Commission, announced his picks for the five-person panel on Friday. Maher Maso, mayor of Frisco and manager of Maso Asset Management. Gov. Rick Perry doesn't appear to be in a hurry to address the confusion swirling around Texas’ border with Oklahoma. He has missed a legislative deadline to assemble a commission tasked with solving the problem, though there is still time make appointments ahead of a deadline for the commission’s first meeting. 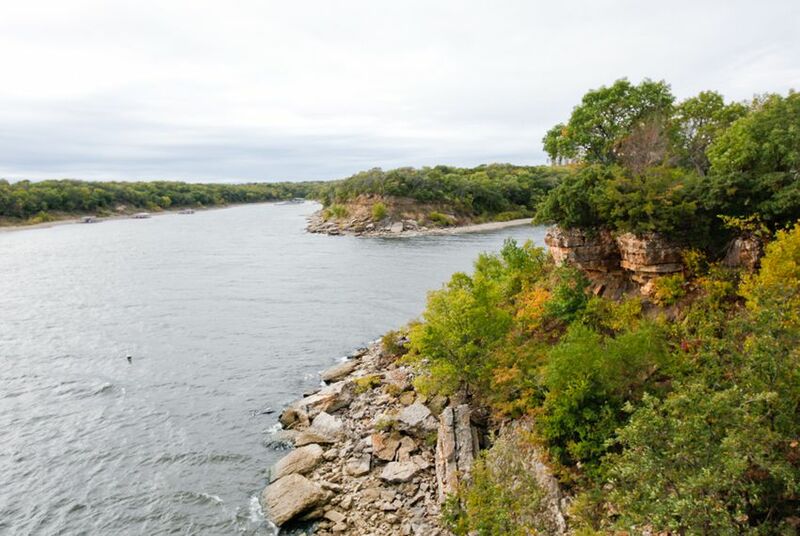 In June, Perry signed legislation creating the Red River Boundary Commission, a five-member body meant to study and possibly redraw the border along Lake Texoma to fix a mapping error that helped form a sea of troubles for North Texas water managers. The law instructed the governor to make the appointments “as soon as practicable” after passage “but not later than December 1.” The deadline for the commission's first meeting is Jan. 30. But the clock ran out on Sunday, with no word about the appointments. Cynthia Meyer, a Perry spokeswoman, said the governor is not ignoring his assignment. "The appointment is still going through the process, and we will make an announcement at the appropriate time," she said in an email Monday. Meyer did not respond to questions about why he missed the deadline. The lapsed deadline is the latest twist in the nearly two centuries of debate over the exact whereabouts of Texas’ 540-mile border with Oklahoma, though the development is far less exciting than some of the stories that preceded it, including two Supreme Court cases and a 1931 showdown between the Texas Rangers and an armed Oklahoma governor known as “Alfalfa Bill” Murray. The new Red River Boundary Commission is supposed to study the dispute's latest episode, which involves a mollusk invasion. In 2000, the states thought they had redrawn the border for the last time. But a decade later, the North Texas Municipal Water District discovered that boundary erroneously bisected its water pumping station in Lake Texoma, where officials discovered an infestation of havoc-wreaking zebra mussels, which have disrupted underwater food chains across the nation and clogged power and water plants. The mussel swarm left 28 percent of the district’s water supply untapped because federal law bars the cross-state transfer of zebra mussels and other “injurious species.” That prompted the water district to petition Congress for an exemption and ask the states to redraw the border. Such a change would require Texas and Oklahoma lawmakers to agree on an interstate compact, which Congress would then need to ratify. Brian Vance, a spokesman for the Oklahoma Water Resources Board, said his agency and Gov. Mary Fallin’s office have heard “absolutely nothing” from Texas on the matter. In October, the Tribune was first to notify Oklahoma officials about the latest boundary questions. State Rep. Larry Phillips, R-Sherman, a co-sponsor of the legislation, said Texas would probably call Oklahoma once the Red River Boundary Commission makes its recommendations to the governor. Its first report will arrive Jan. 15, 2015, and its final report is due about six months later — assuming it meets the legislative deadline. Phillips said he was not worried about Perry’s delay in addressing such a complex issue. “I don’t think this is going to have a quick fix,” he said.